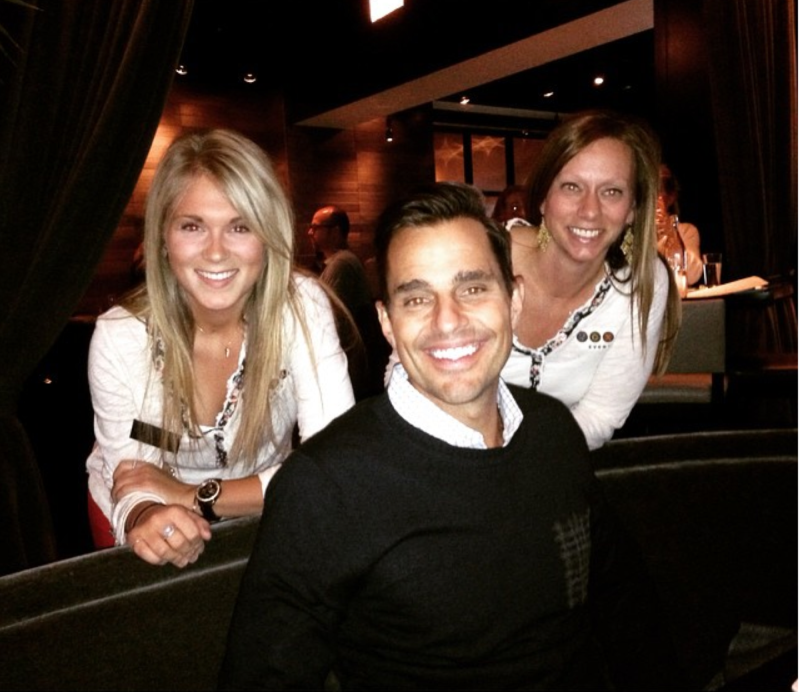 Welcome to Moxi’s Chicago City Guide! We LOVE this city and want to share with you a few of our favorite things to eat, see, and do when you visit this Midwest gem. 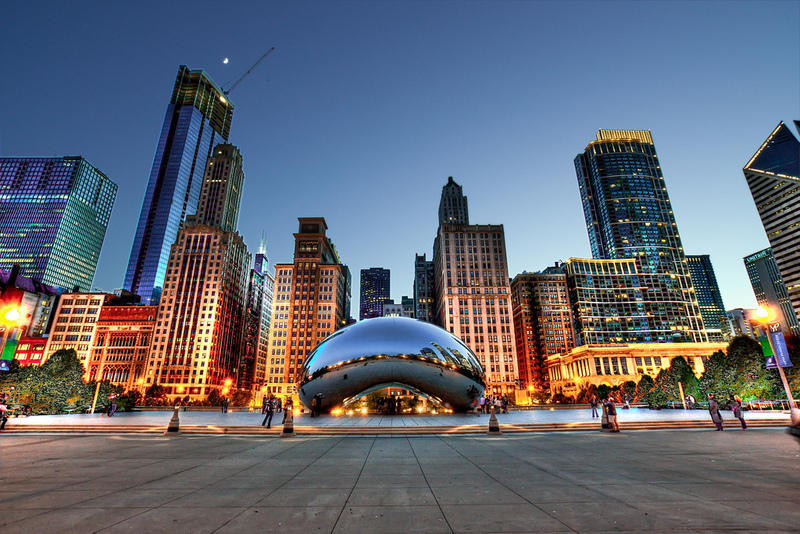 Chicago is the perfect place for a weekend getaway, a family vacation, or a girls trip! Not only is this city fun to visit, it is so easy to get to no matter where you are coming from. 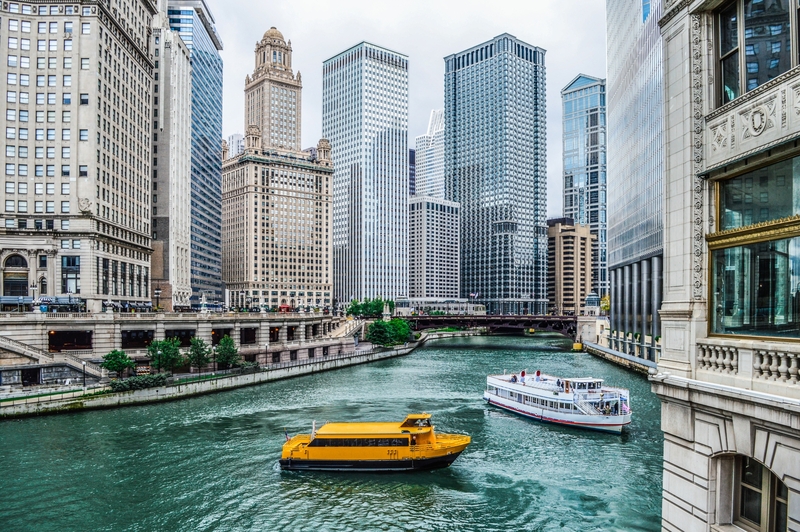 We hope that some of these suggestions below will help make your next trip to Chicago much more memorable! Right on the edge of the Magnificent Mile, this downtown luxury boutique hotel is one of our favorites. With its fabulous amenities, location and service, we can’t get enough. Recognized as ‘2017 Travel + Leisure World’s Best Award’ The Peninsula was noted as the best hotel in Chicago. This 5-star hotel brings its A-Game when it comes to hospitality, dining, and amenities. Make sure to check this property out! Floor-to-ceiling windows provide breathtaking views of the city skyline in this 5-star luxurious Chicago hotel. The Langham will make you feel right at home with its warm decor and signature amenities. Add a great locations and you have the cherry on top! The rooftop of this hotel not only is home to some of the best cocktails in the city, but is also home to Moxi’s favorite view in the city. 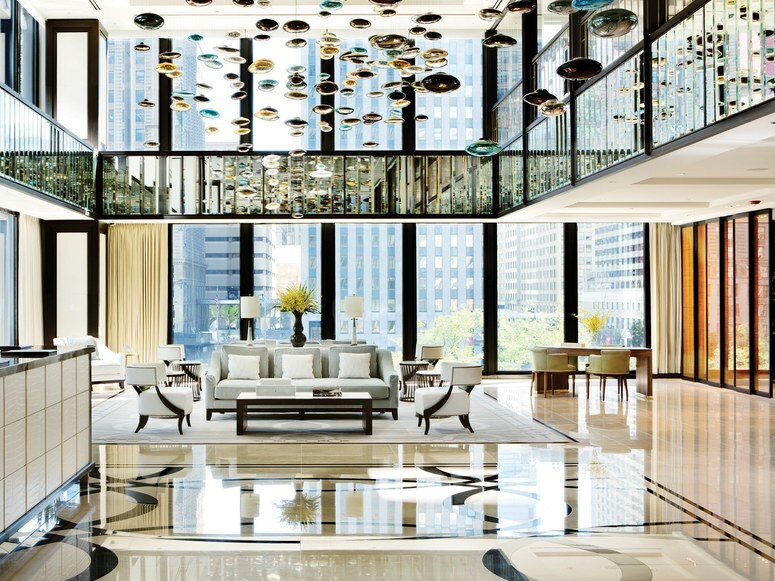 This hotel is luxurious, high-tech, and the place to be seen in Chicago right now. As a sister restaurant to RPM Italian, you can expect everything to be equally as good! Use the description from up above but instead of the word pasta, use the work steak. 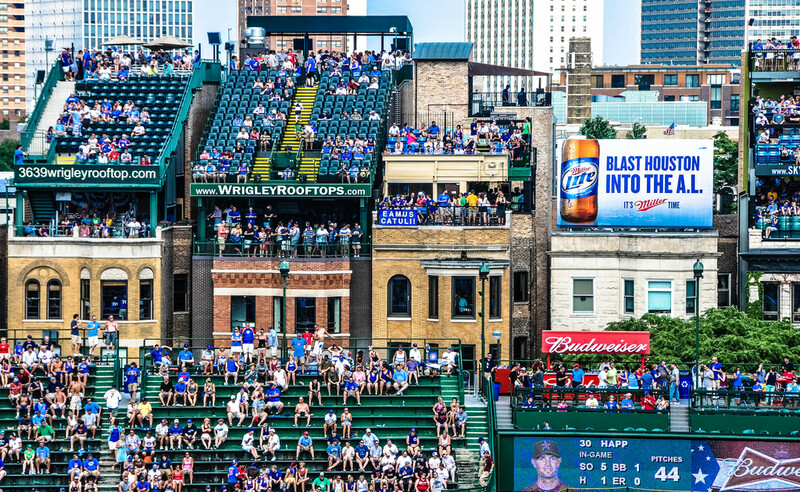 We seriously love these restaurants and hope you get the chance to try one of them when you are visiting the windy city. Maple & Ash covers all bases with an amazing dinner menu and brunch menu. You will never be disappointed in the menu no matter what time of day you go to this restaurant! Maple & Ash is an innovative take on a steakhouse with modern aesthetics and service that can’t be beat. Also another place we highly recommend making reservations at, The Girl & The Goat is one of Moxi’s favorites! The menu here is extensive and the atmosphere is unlike any other. Not to mention a drink list that will be pleasing to everyone! This is a must when visiting Chicago. Alinea has been named the best restaurant in the U.S. three times and is the only restaurant in Chicago to receive a 3-Star Michelin rating. This restaurant in known for its single, seasonally driven tasting menu that usually consists of anywhere between 18-22 courses. Eating at Alinea is truly an experience you will never forget! 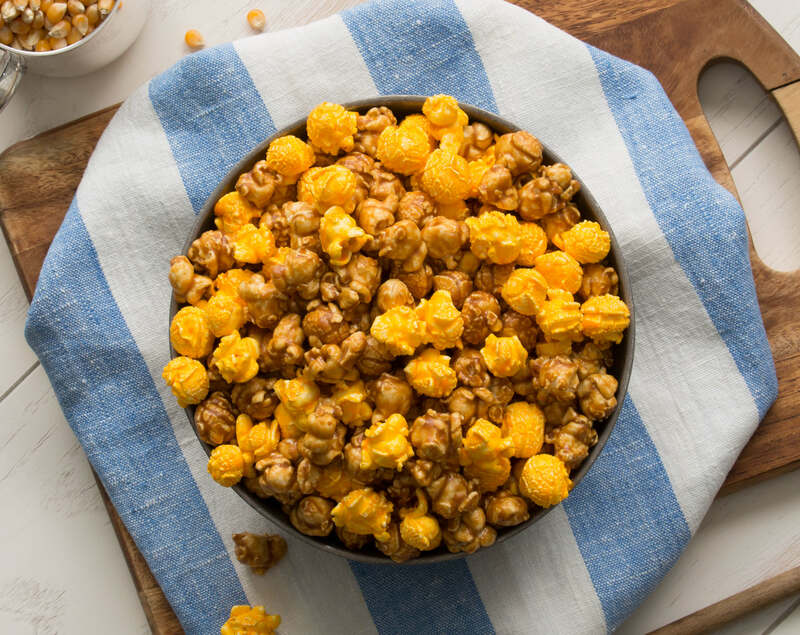 When we think of the classic caramel corn & cheddar popcorn mix our mind first thinks of Garrett’s Popcorn. This popcorn is too good to be true and you are not having a true Chicago experience unless you eat some of it while you are visiting! You guys… Sprinkle’s Cupcakes! It is simply the best and we make sure to get one every single chance possible. We hope you follow our lead and grab one the next time you are in Chicago! At Amy’s Candy Bar you will find every type of candy you can think of! 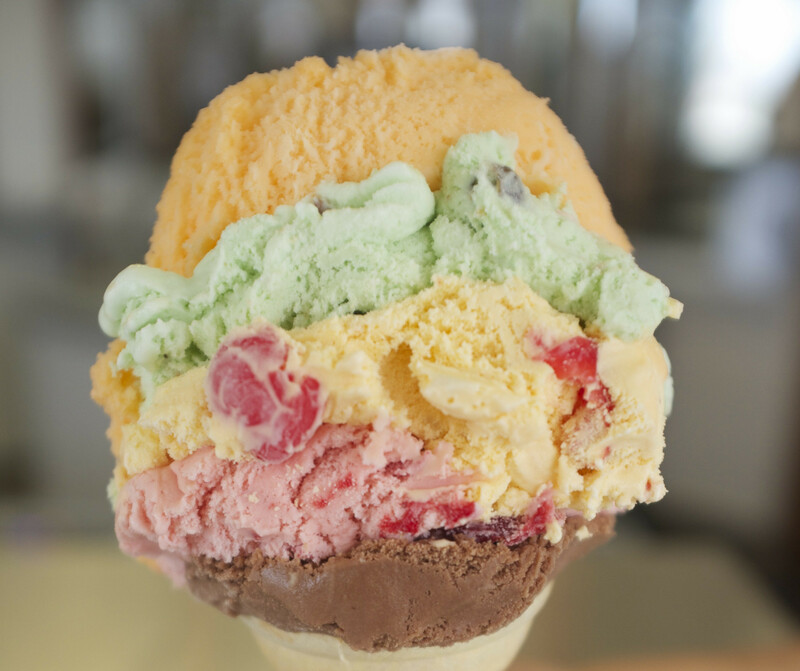 Mix-and-Match candies or get a scoop of ice cream but either way you will not be disappointed! Home of the original ‘Rainbow Cone’ this ice cream joint is a must when visiting, and of course ,so is the original Rainbow Cone! Who doesn’t love a good doughnut… especially when it is hand-crafted to perfection? We do and we think you probably do too which is why going to the Doughnut Vault should be on your Chicago Bucket List! Each of their locations offers daily specials and flavors so make sure to get on their website to see what is in store for the day. Go early though, these doughnuts go fast! No matter the occasion, Sugar Factory is always a good idea! Whether you are looking for a sweet treat or a sweet happy hour, Sugar Factory will never disappoint. Good Coffee + Delicious Pastries = the PERFECT morning. 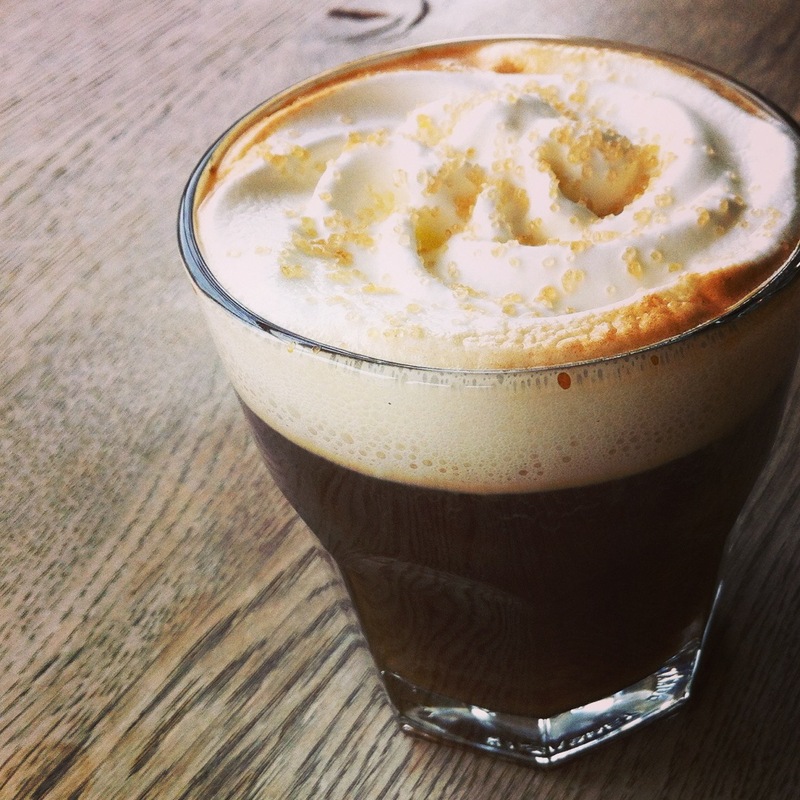 So, if you are looking to have the perfect morning, make sure to check out Dollop when you are visiting Chicago! The Coffee Studio is an espresso bar focused on serving delicious drinks and snacks from fresh, locally sourced coffees and ingredients. To make this place even better, they offer an amazing food menu, beer & wine, pastries, doughnuts, and ice cream! If that doesn’t sell you on stopping by we don’t know what will. You will want to make reservations for this gem. Three Dots and a Dash is a tropical tiki bar hidden below the bustling streets of Chicago! With the best atmosphere and drinks in the city, this bar is a MUST when visiting. This is a Moxi favorite for sure! This rooftop hotspot hosts some of the best views of the city with seasonal freshness in both their food and drinks. Also, while you are waiting in line to get to the rooftop, grab a burger from the Shake Shack in the lobby! 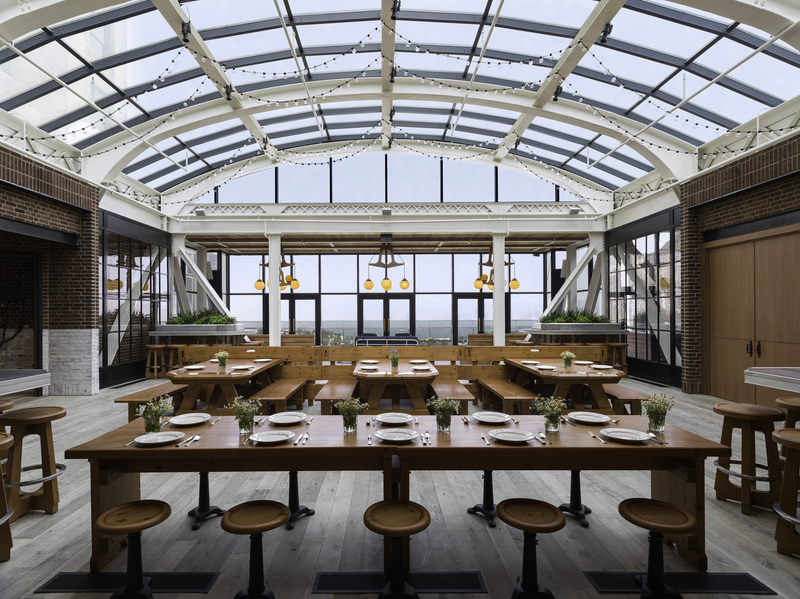 Noyane, which means hidden roof in Japanese, is a seasonal rooftop on top of the Conrad Hotel. Make sure while you are grabbing a drink here you try their delicious sushi. You will not regret it! 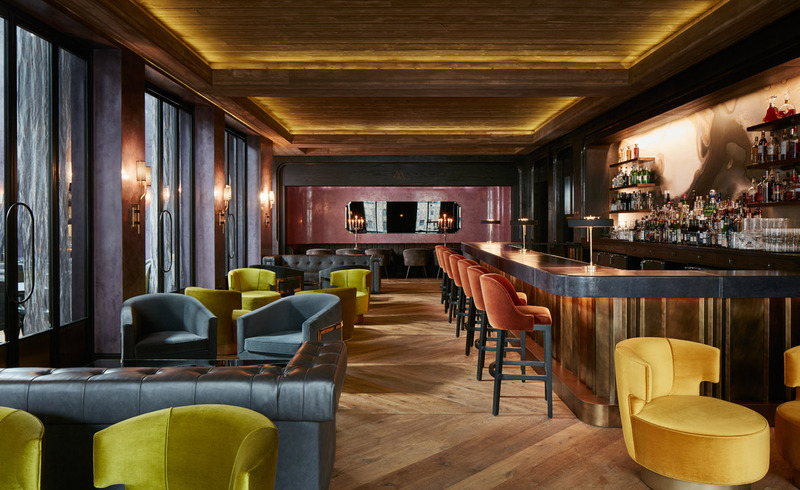 This swanky, modern bar is the place to be seen right now. With indoor and outdoor options, this 26-story high bar has innovative cocktails and picturesque views. Thanks so much for checking out our City Guide for Chicago! 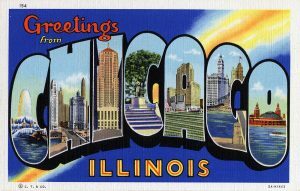 We hope it will be helpful to your on your next adventure to the Windy City. Be on the lookout for another City Guide coming to our blog in the next few weeks!